One student asked about the Christian understanding of gender and transgenderism. Another asked why God allows “80 percent” of the world’s population to spend eternity in hell. Yet another student asked about Christians participating in stem cell research and therapies. In all, R. Albert Mohler Jr. answered questions as varied as the people in the room. A confessional interpretation of the Bible can flourish in the 21st century church, said New Testament scholar Robert W. Yarbrough in a series of three Gheens Lectures, delivered on Feb. 27-28 at The Southern Baptist Theological Seminary. He set this argument over against the dominant critical interpretation of the Bible in the secular academy. Christians can be confident in God’s purposes for their lives because he has demonstrated his covenant faithfulness to his people, said Juan Sanchez in a March 1 chapel message at The Southern Baptist Theological Seminary. R. Albert Mohler Jr. celebrated the life of the late Billy Graham in a February 22 chapel service at The Southern Baptist Theological Seminary, highlighting the famed evangelist’s relationship with the seminary. Graham died Wednesday, February 21, at the age of 99. Mohler, who is president of Southern, began the service reflecting upon Graham’s immense influence in the history of Southern Seminary. R. Albert Mohler Jr., president of The Southern Baptist Theological Seminary in Louisville, Ky., reflects on the life of Billy Graham who died today at the age of 99. The Billy Graham School of Missions, Evangelism and Ministry at Southern Seminary is the only graduate school the famed evangelist granted permission to use his name. Establishment of the Billy Graham School was announced in 1993 at the inauguration of Mohler, at which Graham spoke. William Franklin “Billy” Graham, the Southern Baptist evangelist famous for his evangelistic crusades around the world, died today at his home in Asheville, N.C., a spokesman for the family confirmed. He was 99. New book from SBTS president highlights radical nature of the most famous Christian prayer. 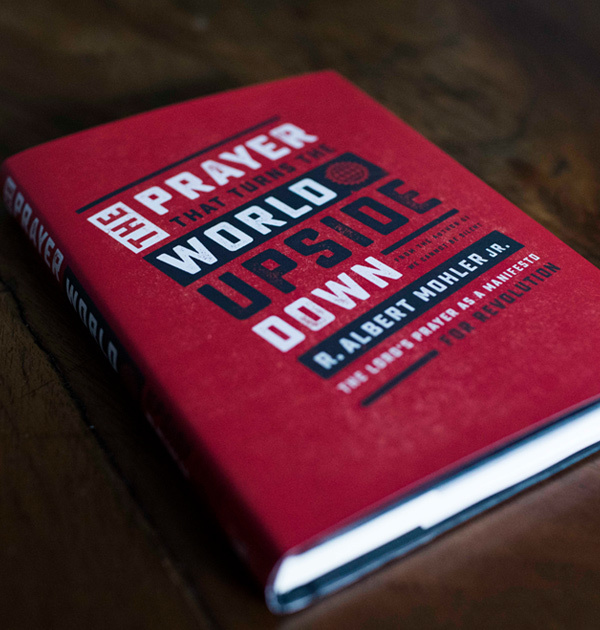 The Lord’s Prayer is a revolutionary and earth-shattering manifesto for God’s eternal reign in heaven and earth, argues R. Albert Mohler Jr. in his new book, The Prayer That Turns the World Upside Down. The book released in late January. Most people recognize the familiar refrains of the prayer Jesus taught to his disciples in Matthew 6:9-13 and Luke 11:2-4. It’s recited at graveside services and before high school football games. But people often don’t understand the words they’re saying, according to Mohler. Students from the University of Louisville sat for an hour -and-a-half to ask questions of R. Albert Mohler Jr. They wanted to know about belief and Christianity — whether religion could still be reasonable. 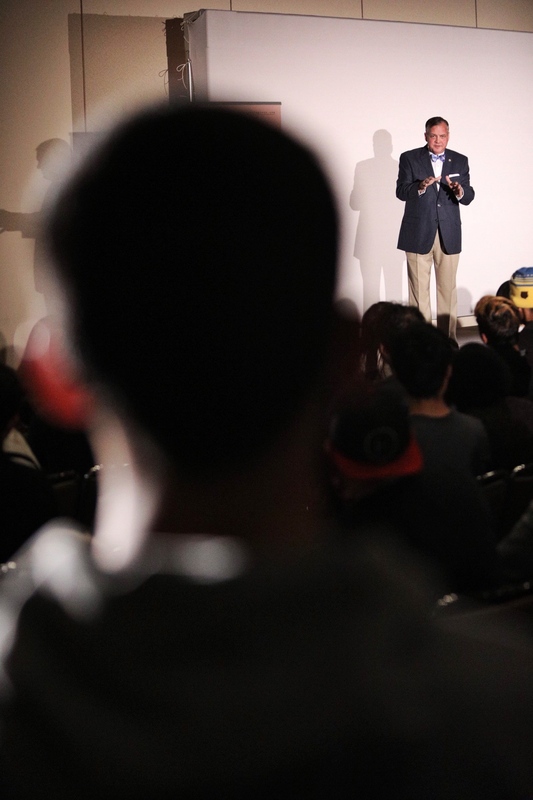 So hundreds gathered on Feb. 6 in the Margaret Comstock Concert Hall on the UofL campus for the first event of the Ask Anything tour, seeking answers from Mohler. 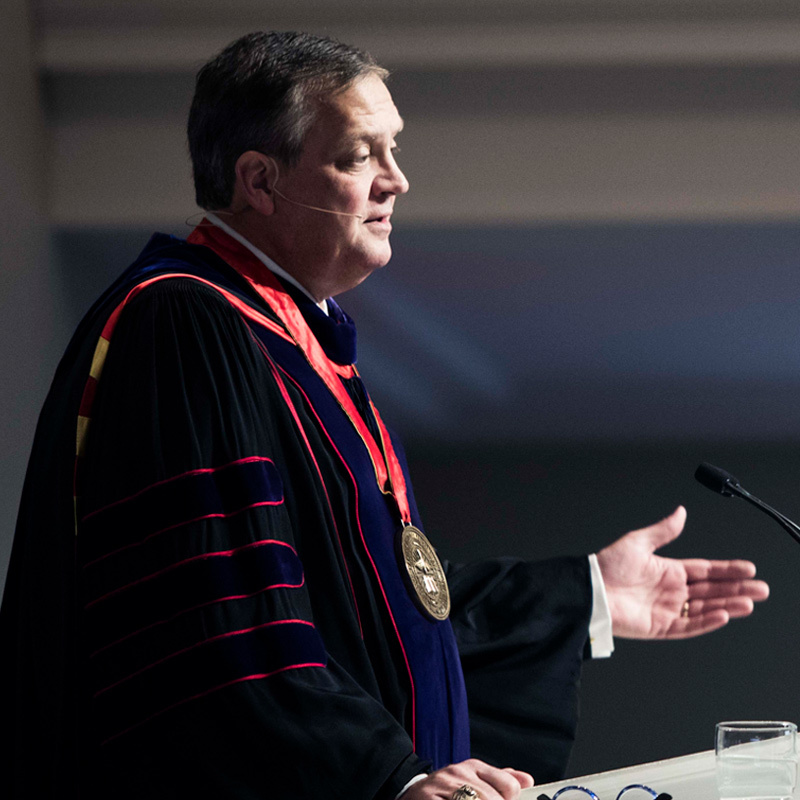 An ironclad commitment to truth is the defining quality of a faithful theological institution, said R. Albert Mohler Jr., president of The Southern Baptist Theological Seminary, during its spring convocation, Feb. 6 in Alumni Memorial Chapel. 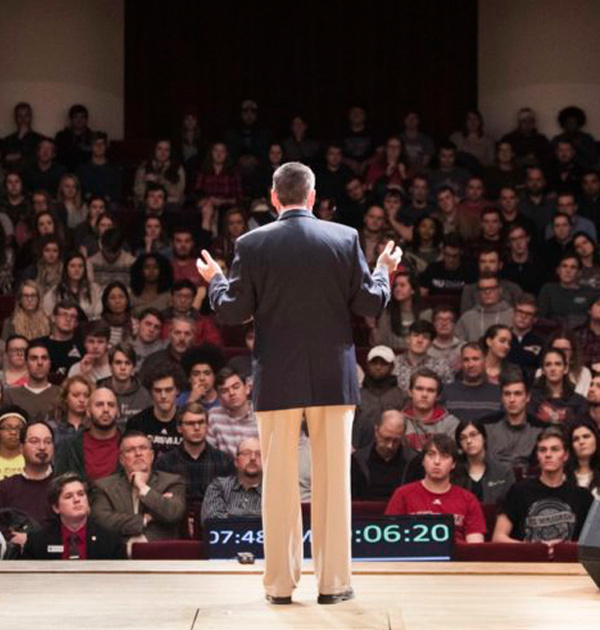 In an address titled, “Recovering and Sustaining the Theological Mission of Christian Education,” Mohler stressed the centrality of the theological disciplines in any truly Christian understanding of the world. Any educational endeavor must therefore emerge from a solid theological starting point, along with a robust epistemology, he said. If the church is going to grow, it must do the same. Associate admissions director Jeremy Pelton to assume leadership of that office. Southern Seminary president R. Albert Mohler Jr. last week named Kody Gibson as the new vice president for communications. The seminary’s Office of Communications leads brand and marketing efforts and produces news for the school and its undergraduate arm, Boyce College. Gibson, a 2012 Southern graduate, served as the director of admissions for the past three years. Under his leadership, the incoming class size at Boyce increased by 19 percent and the seminary increased 9 percent. Before assuming the director role, Gibson worked in various capacities within the department since 2010.